Bilbo wakes up to find the battle over. 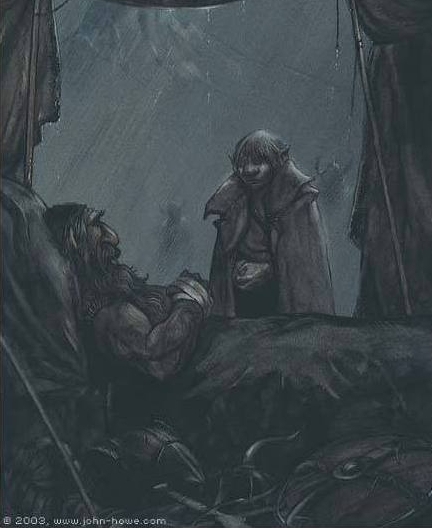 Gandalf finds Bilbo and takes him to the camps. Bilbo finds Thorin dying. Thorin repents his actions and greed before he dies. Thorin is buried in Erebor, with the Arkenstone and Orcrist upon his chest. 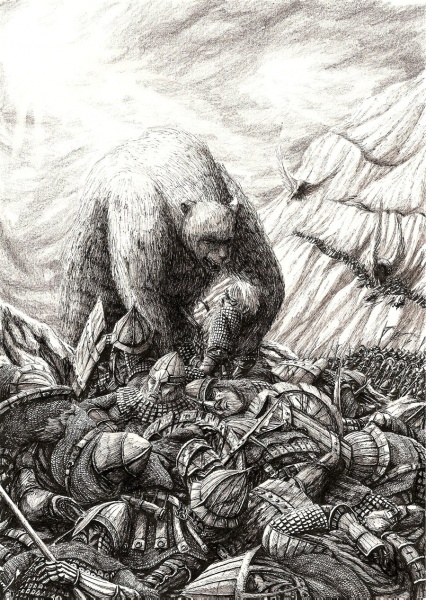 Dain is crowned King Under the Mountain. He gives 1/14th of the treasure to Bard to rebuild Dale. Bilbo leaves with Gandalf, Thranduil and Beorn. Bilbo narrates the rebuild of Dale, leaving Beorn and returning to Rivendell. Elrond offers Bilbo a home at Rivendell, but Bilbo chooses to return home. Bilbo digs up the treasure left at the troll’s cave. Bilbo returns to Bag End to find the Sackville-Baggins selling off his possessions. Bilbo tries to convince everyone that he’s not dead. 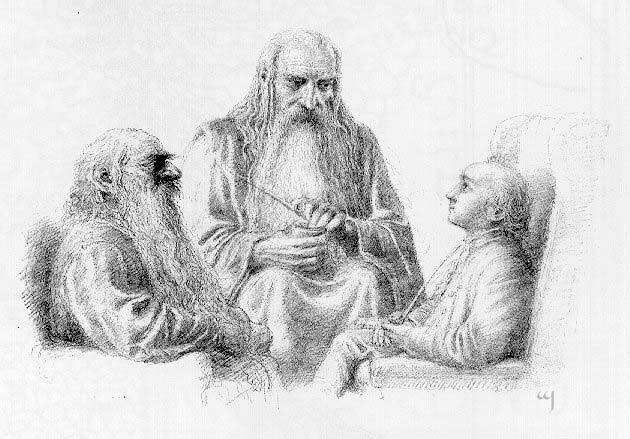 Gandalf and Balin visit Bilbo at Bag End. 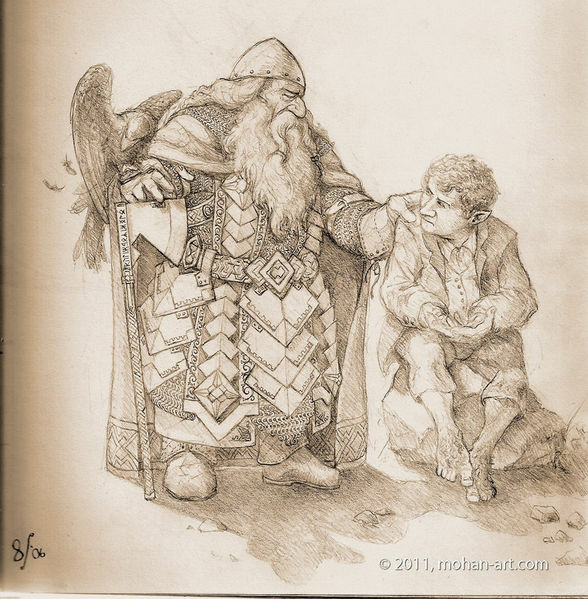 Bilbo adopts his young cousin, Frodo. Bilbo begins writing the Red Book of Westmarch. 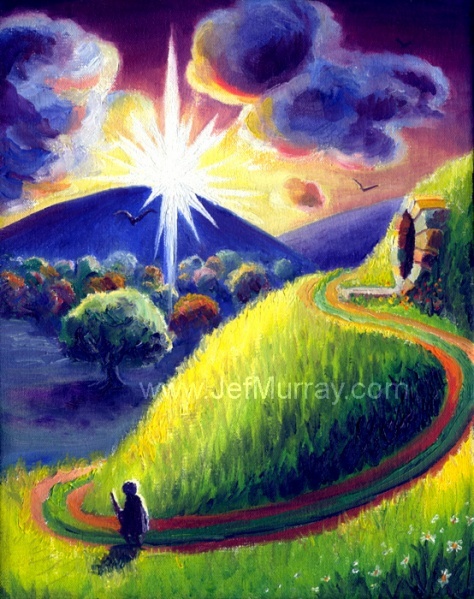 Adapted from the chapters ‘The Return Journey’ and ‘The Last Stage’ of The Hobbit and Appendix B of Lord of the Rings.